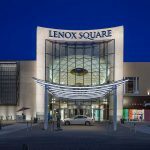 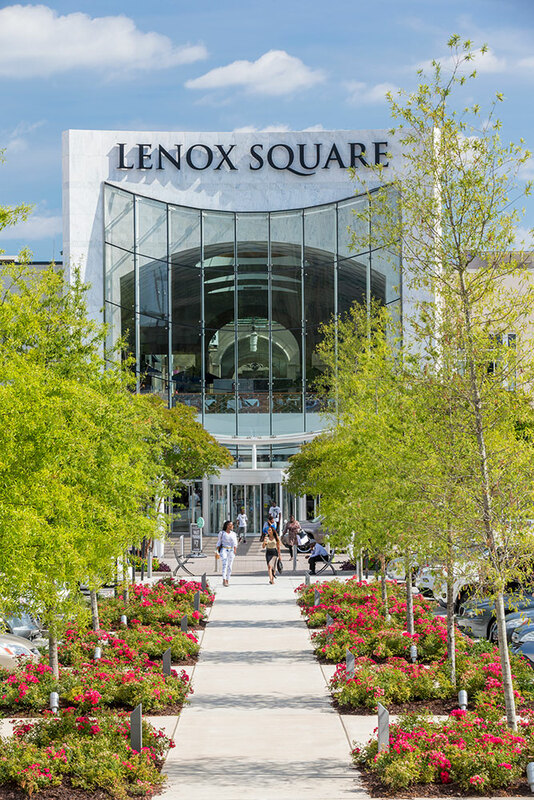 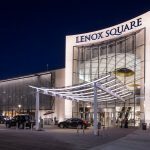 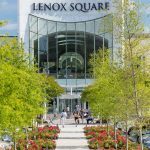 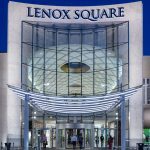 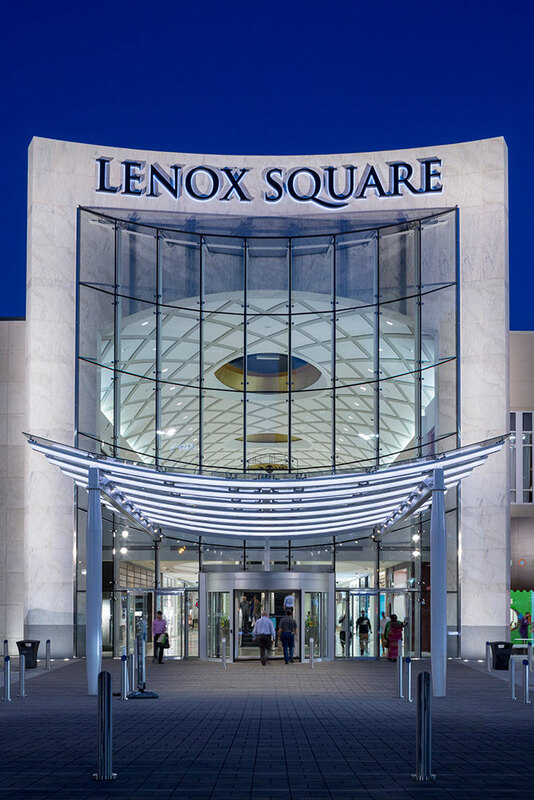 Lenox Square has long been one of Atlanta’s premier retail destinations. 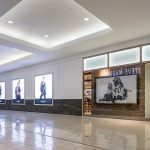 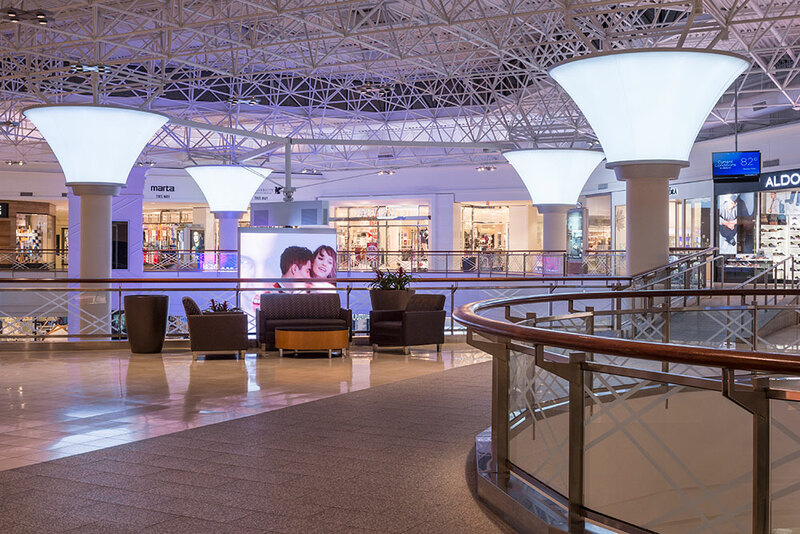 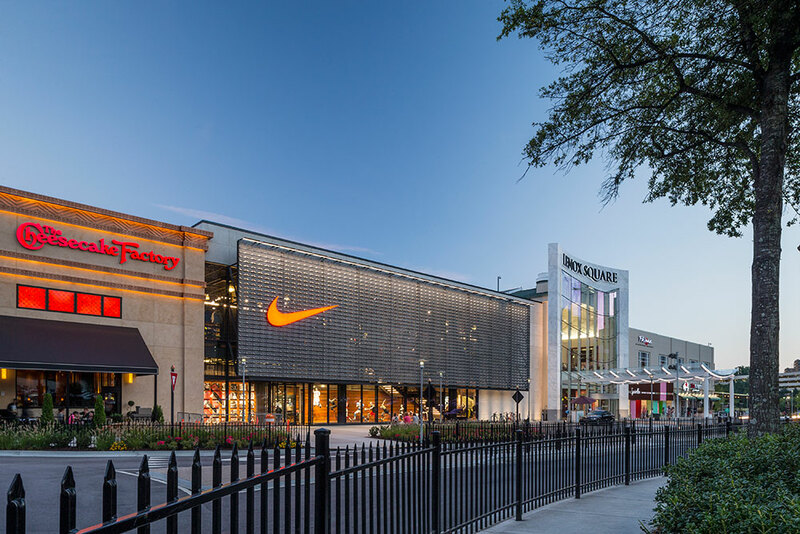 A re-visioning of the Mall’s primary entrance and flanking store facades was geared to further elevate the owner/developer’s flagship property status. 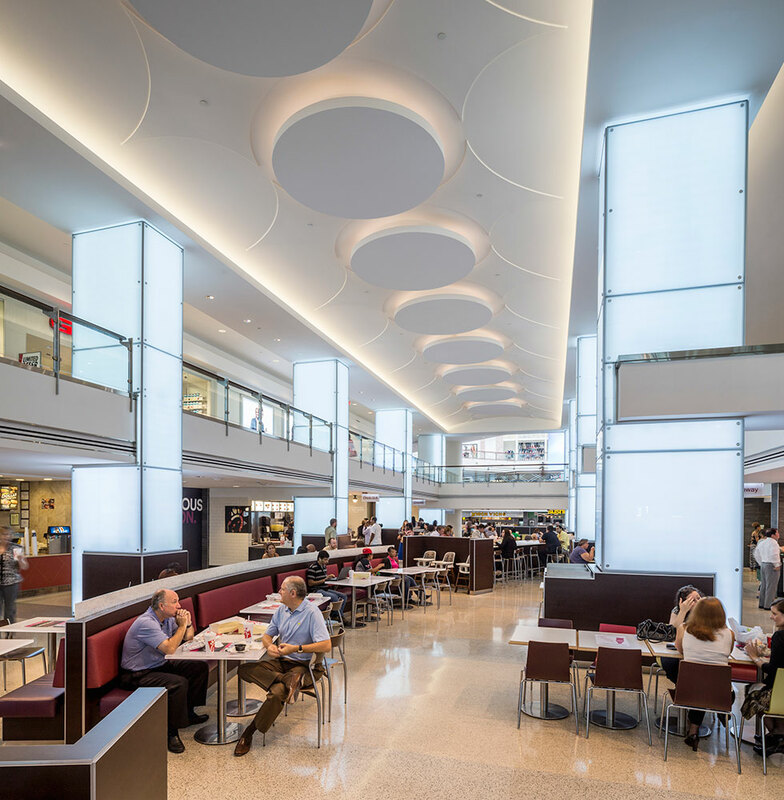 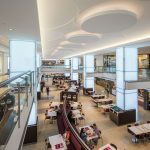 In conjunction with these upgrades, the center’s food court, partially housed in an atrium, was refreshed to elevate one of the property’s most consequential amenities. 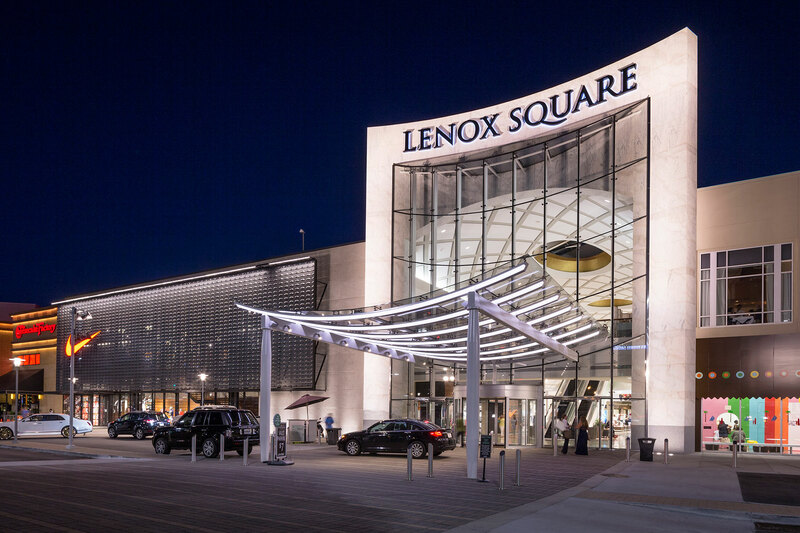 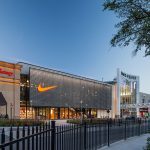 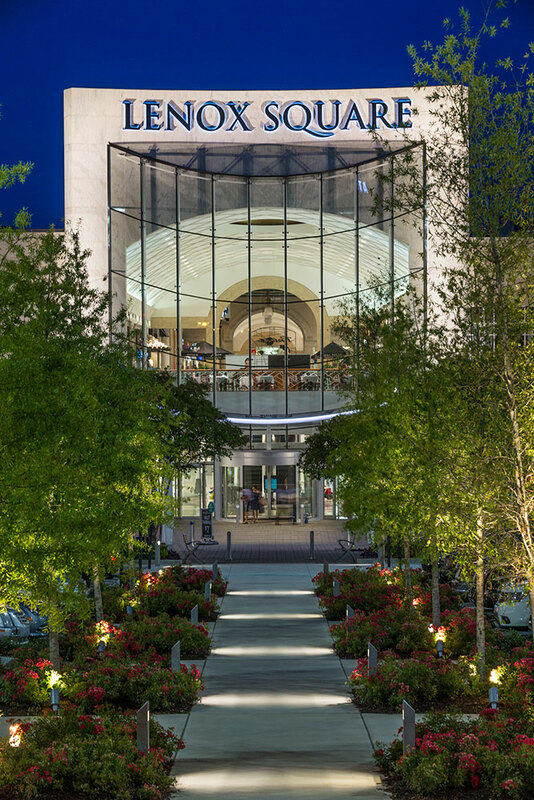 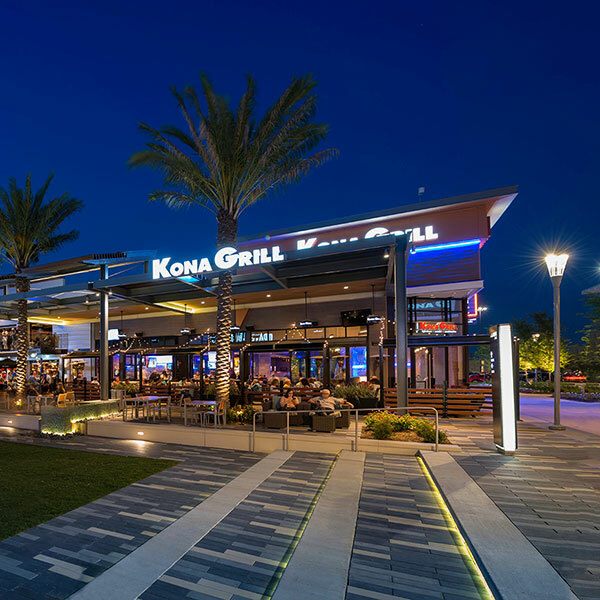 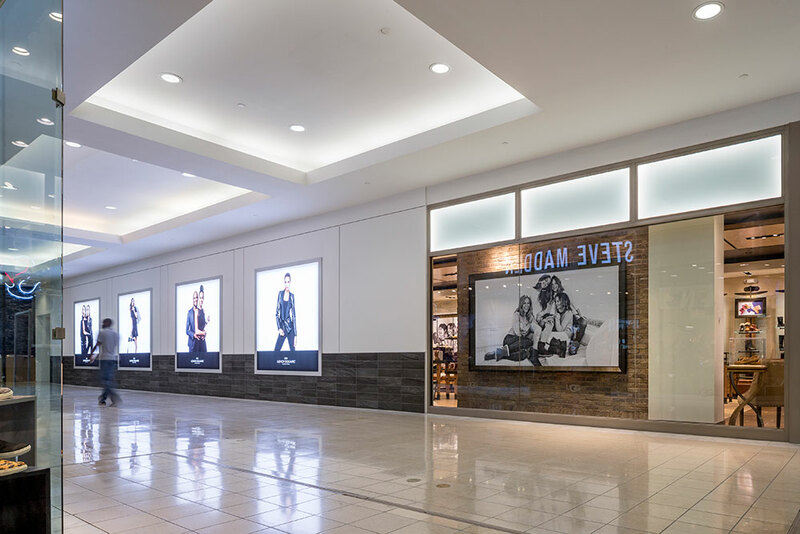 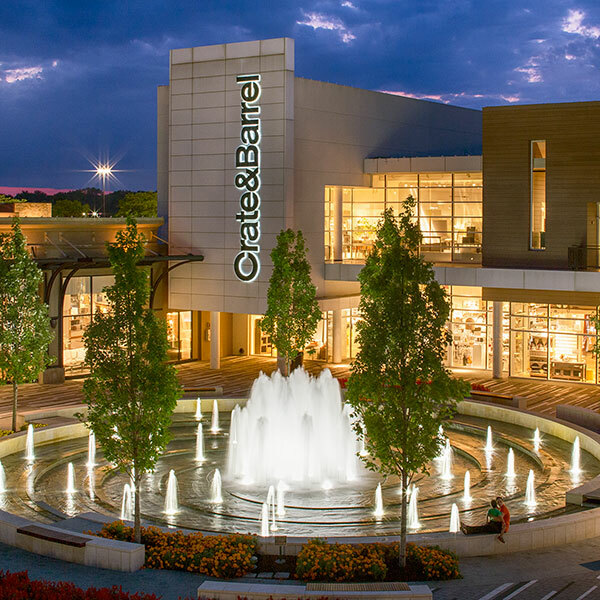 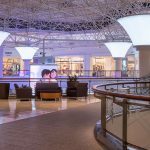 From the exterior, lighting’s role in the project was to: reinforce the architectural design, bring nighttime transparency to the entry portal, elevate visibility from the surrounding streets and highways, and heighten the shopper’s sense of arrival. 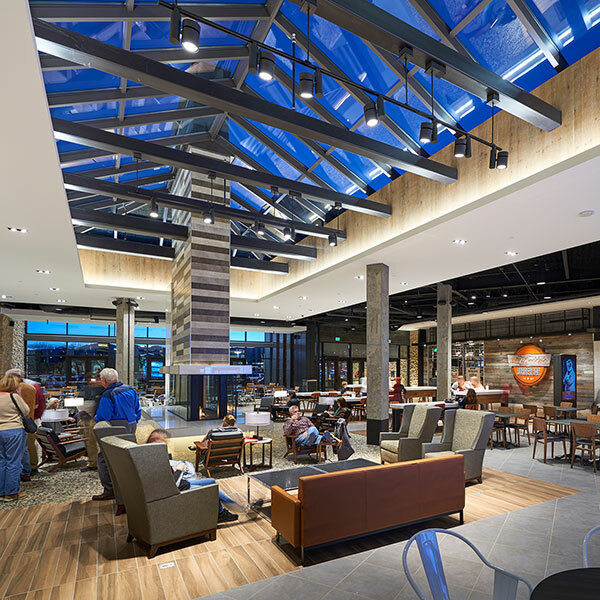 The lighting composition succeeds with this challenge by harmonizing contrasts, textures and subtle color, while creating drama without overwhelming the arrival experience. 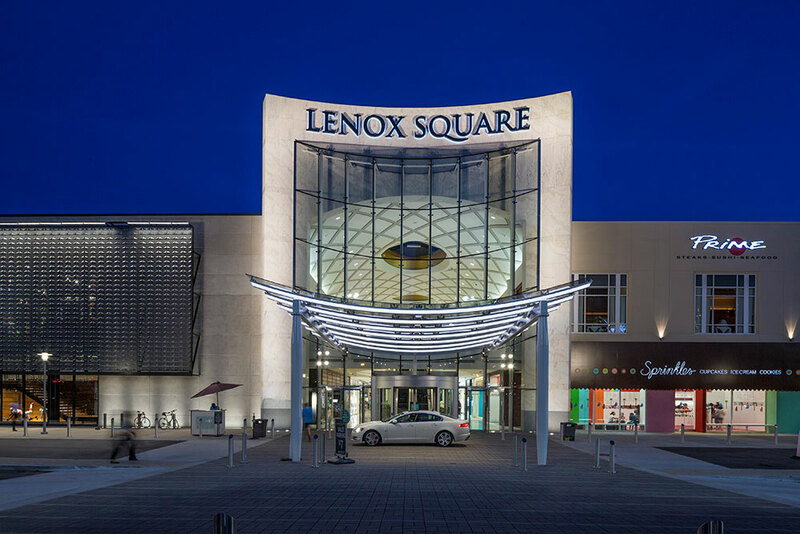 The facades are revealed through crisp surfaces and layers using linear grazing illumination balanced by soft, yet precisely applied light that enriches the stone proscenium. 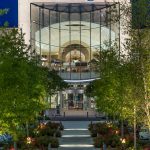 The glass entry canopy is transparent, but enveloping, with light employed to reinforce both attributes. 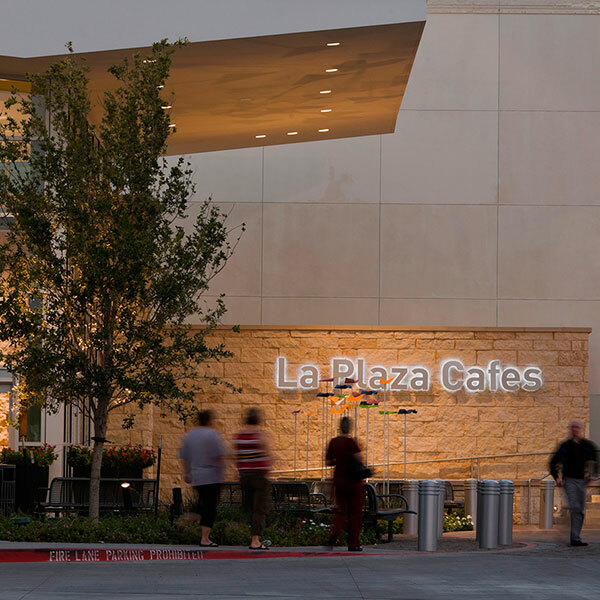 The central pedestrian path extends the welcome light into the adjacent landscape. 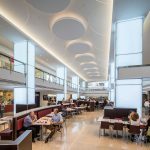 The once tired and cramped food court takes on new life with illumination defining and elevating spatial forms. 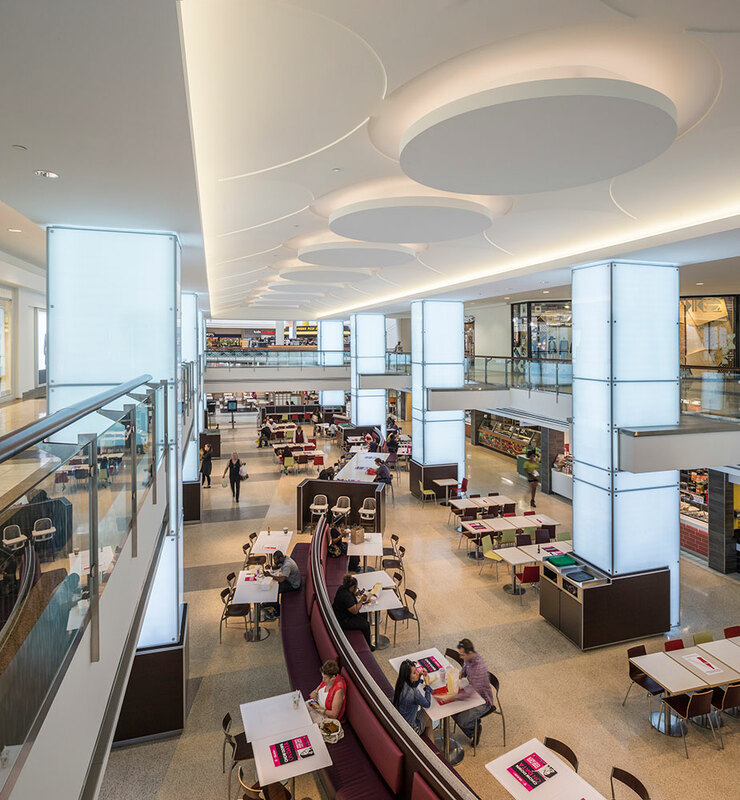 Accent lighting provides crispness to seating areas and luminous column lighting techniques further dispel the vestiges of a lower level dining experience.